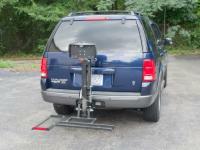 The AmeriGlide Traveler Companion Vehicle Lift was especially designed with versatility in mind. 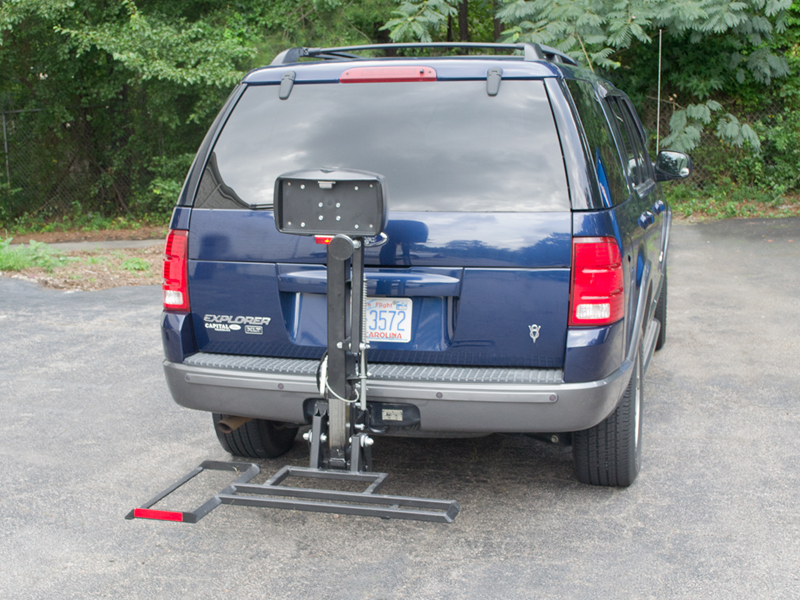 Not only can it accommodate a variety of compact scooters, it can fit class I, II, and II trailer hitch classes, making it an ideal mobility tool. This powerful lift also features a streamlined design that is compact and takes up as little room as possible. When not in use, the lift can be folded up and out of the way. The open platform design means that your view out the rear window will not be obstructed by a clunky lift. 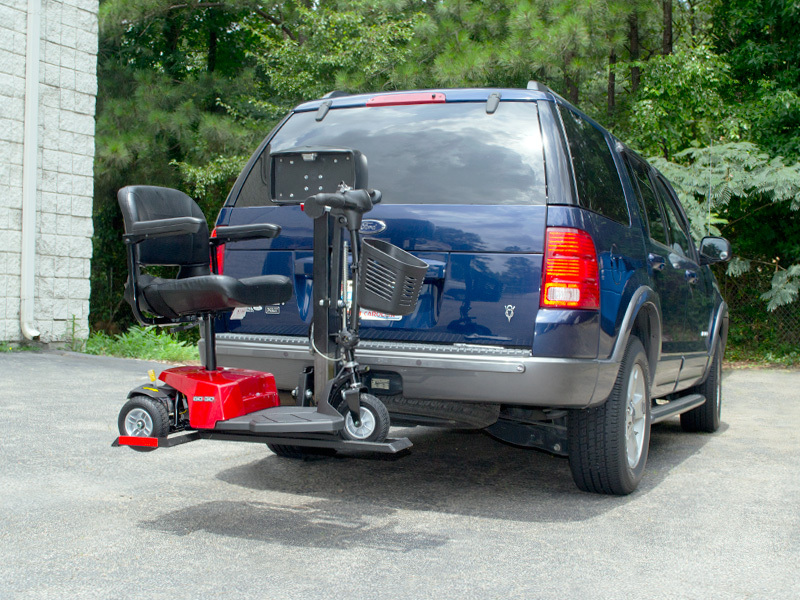 Purchase the AmeriGlide Traveler Companion Vehicle Lift today and start taking your mobility scooter with you everywhere you want to go. 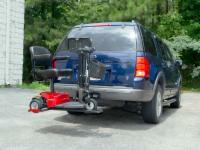 Enjoy greater freedom and independence, no matter what size car or trailer hitch you have. 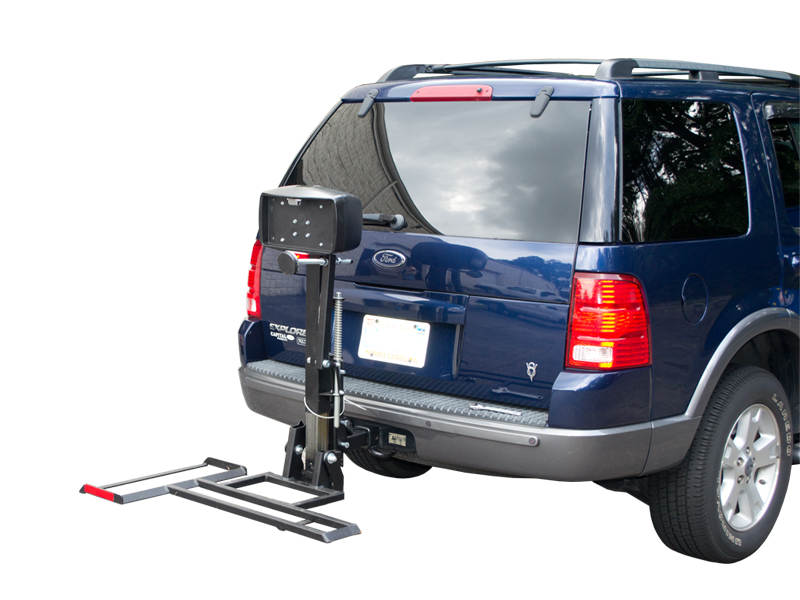 Call us today to learn more about this innovative vehicle lift and how it can take the hassle out of traveling with mobility challenges. Our experts are standing by ready to answer your questions!